Liam Smith was last seen on November 17. 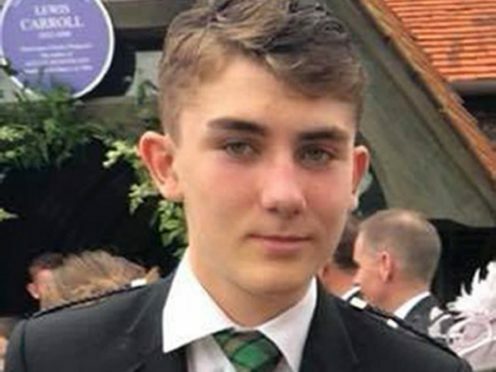 Police have confirmed the body discovered in the woods south of Banchory on Friday afternoon was missing teenager Liam Smith. Officers said that a member of the public made the grim find at around 3pm on Friday. There are not believed to be any suspicious circumstances surrounding the death of the 16-year-old. His mother Alix Smith said: “While we never gave up hope of finding Liam, we were realistic about the challenges facing us. Our hearts are broken. Liam disappeared on November 17 last year, after boarding a bus in Aberdeen bound for Banchory. CCTV was not working on the bus, but a passenger reported the Westhill Academy pupil had got off in the Crathes area – prompting officers to focus their massive search operation in the region. The body of the teenager was found in a “remote wooded area” at Craig of Affrusk, south of Banchory. Craig of Affrusk is around seven miles away from Crathes, and across the River Dee. Last month, police scaled back their three month search and Liam’s devastated family admitted they had to be “realistic” about the challenges of finding him. They said they had been “overwhelmed” at the huge public response to his disappearance, with thousands of people sharing appeals to bring the teen home.